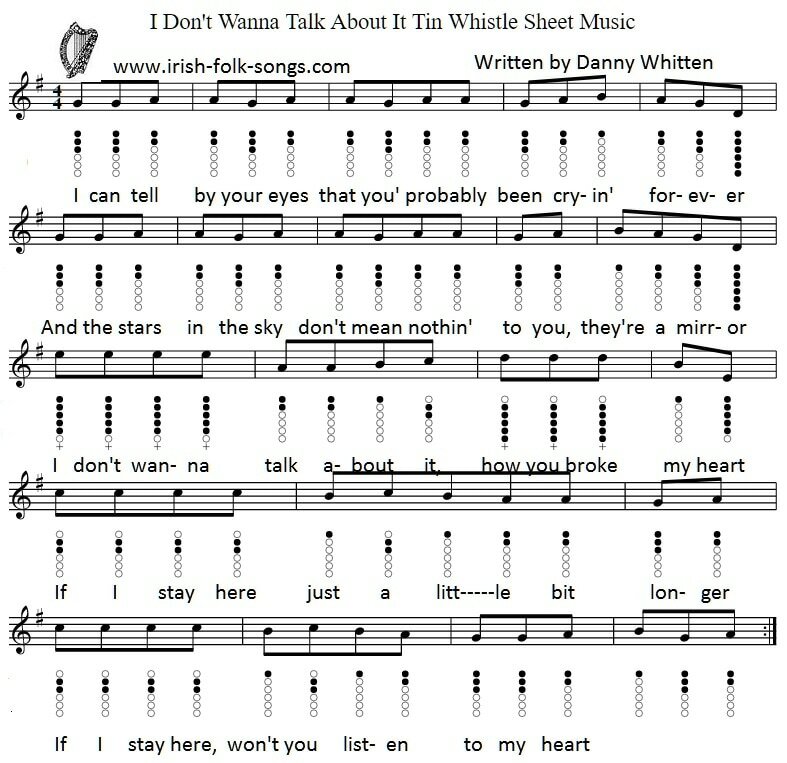 ​I Don't Wanna Talk About It Tin Whistle Sheet Music Notes. I included the letter notes for the recorder and flute. This is a very easy song to play along to. The first and second lines in the song use exactly the same notes. It was recorded by Rod Stewart, Everything But The Girl and The Indigo Girls.